JBL PH is now catering its patrons in Dasmariñas, Cavite and nearby municipalities as it marks its 15th JBL Store in the country. 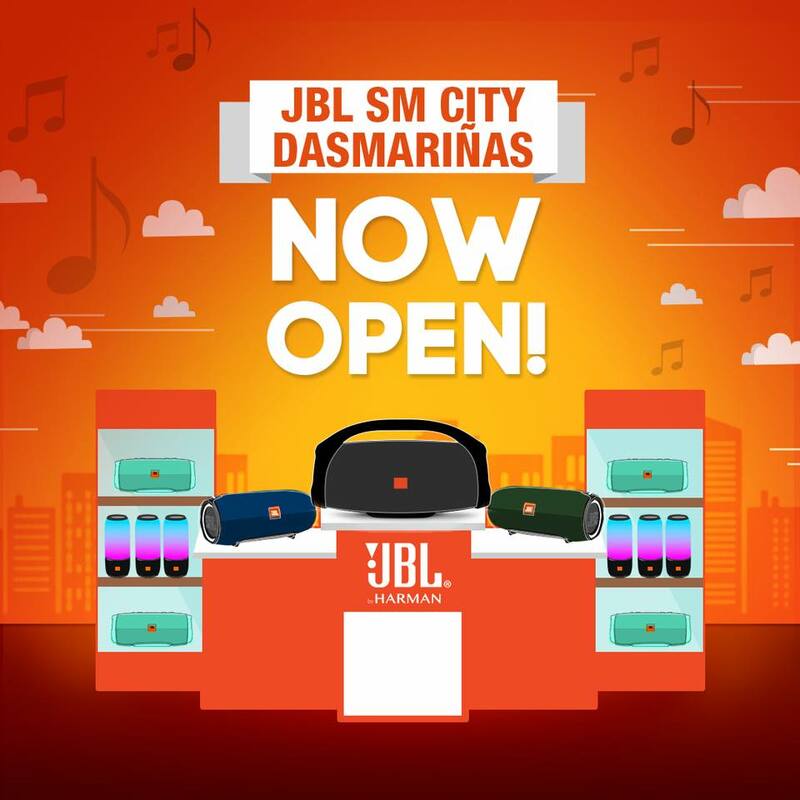 Located at the 2nd level, Cyberzone, SM Dasmariñas, the JBL Store offers a variety of great sounding products and devices to cater different audio needs! Everyone is invited to drop by to hear the truth about the JBL brand. Exciting promos and surprises will be revealed soon! JBL products can now be purchsed online through their very own eCommerce site: jblstore.com.ph, where you can order and pay online via Credit Card, Paypal or Dragonpay. You can get free shipping for orders PHP 5,000 and above. Which from the JBL products you'd like to see and experience at the newly opened JBL Store in SM Dasmariñas?